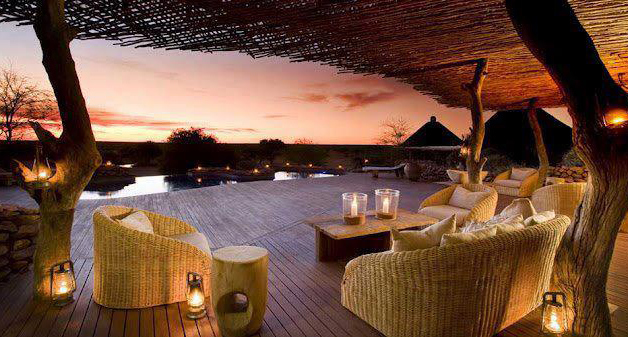 Tswalu Kalahari claims to be South Africa’s largest private game reserve. 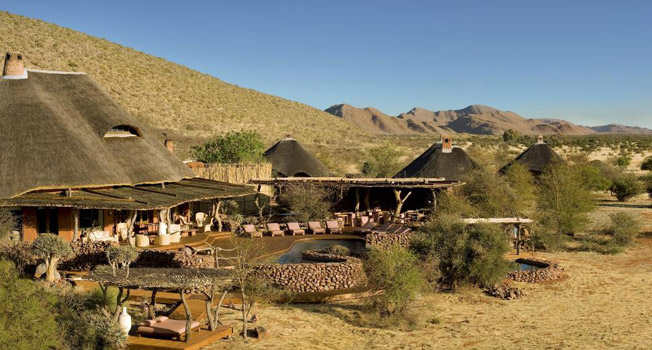 It covers an area of over 100,000 hectares in the southern part of the Kalahari desert (the “greener” part of the Kalahari) in the northern part of South Africa bordering Botswana. 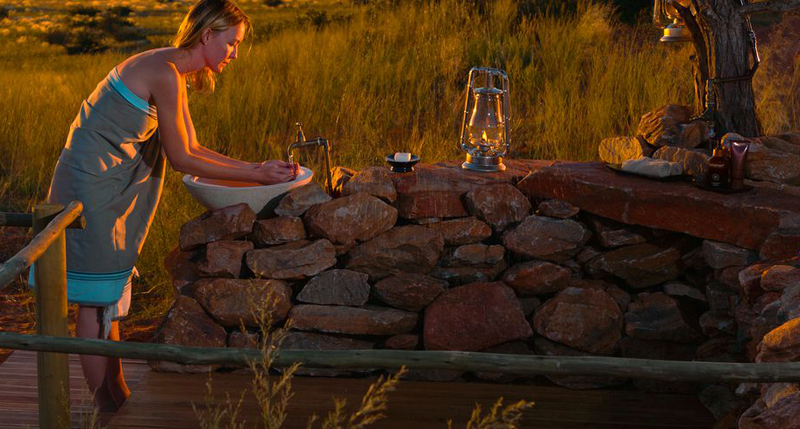 The scenery is spectacular with red-orange terrain and colourful grass interspersed by small thorny trees and bushes. 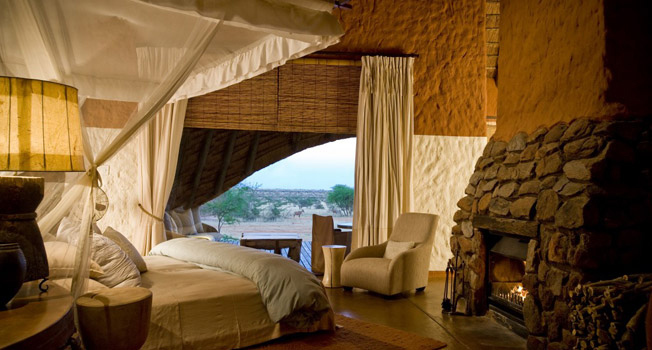 The black rhino is the main feature of the reserve and the other Big 4 can also be sighted. 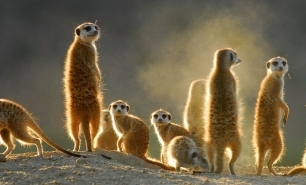 Tswalu Kalahari is free of malaria and other tropical diseases and the reserve itself has a unique ecosystem. 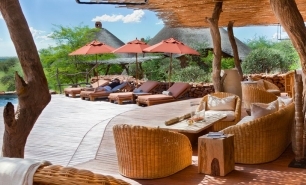 It is an excellent destination in itself, though a visit can also be combined with stays at one of the lodges in the Kruger National Park area and Botswana Okavango Delta. 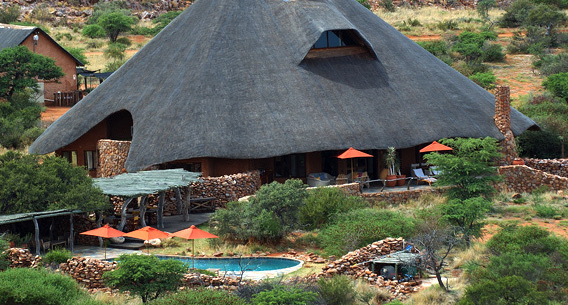 Tswalu has two sites named Motse Camp and Tarkuni; the latter being Oppenheimer’s family’s private lodge. 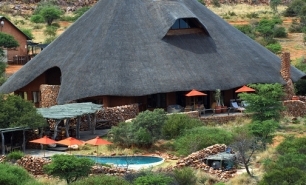 At maximum capacity, Tswalu can accommodate a maximum of 30 guests in total. 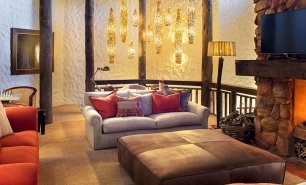 The emphasis is on privacy and exclusivity. 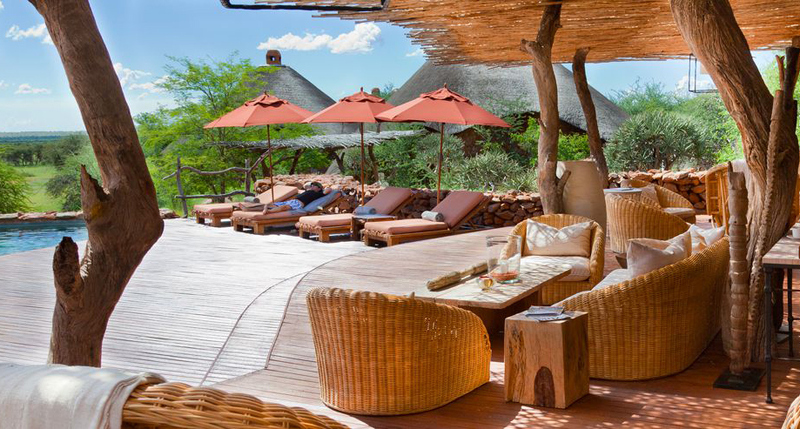 The lodge offers dining at Motse Camp’s boma or by the camp’s pool with a menu that changes daily. 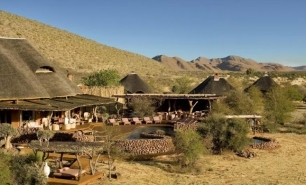 Motse Camp Motse can accommodate a maximum of 20 guests and is located at the foot of the Korannaberg mountains, facing westwards across the grasslands of the Kalahari. 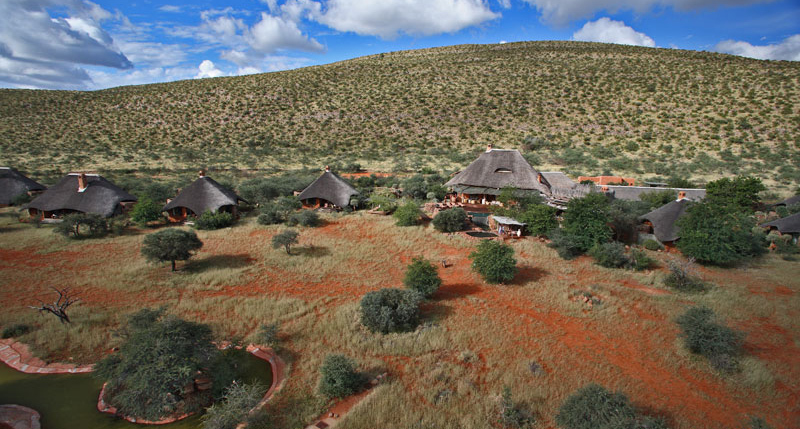 The camp’s cottages (legae) are built of local stone, red clay, and traditional Kalahari thatch. They have been recently redesigned by world-renowned Boyd Ferguson. Two legae have been designed especially for families. 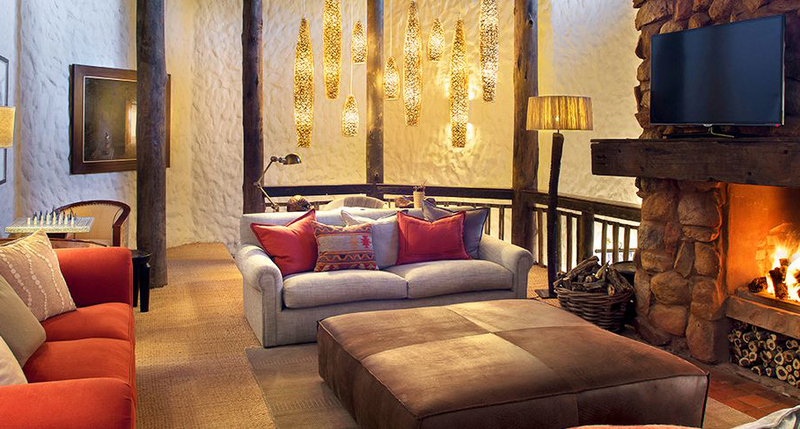 Set amidst two rolling mountain ranges, Turkuni has five luxurious suites which accommodate a maximum of 10 guests. 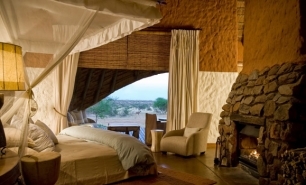 Tarkuni is an excellent choice for families and groups of friends. 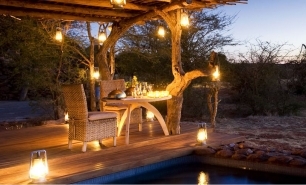 The home has its own dedicated team, including a host and private chef, a private vehicle, a personal field guide, and a tracker to guarantee a truly luxurious safari experience. 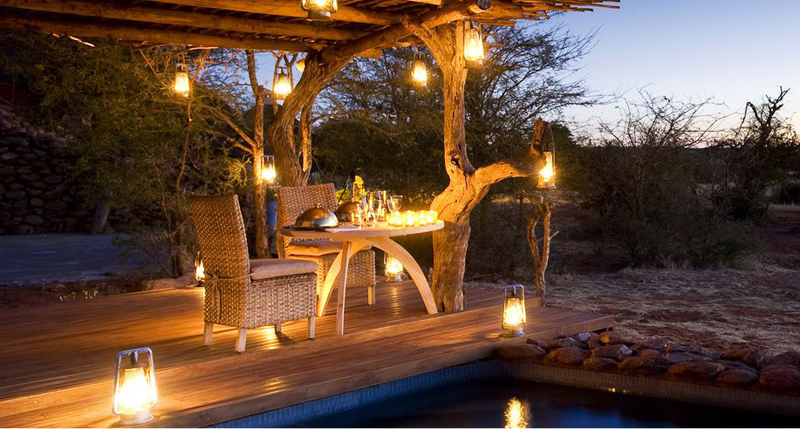 Tswalu Kalahari has an outside sleeping deck, The Malori, which enables guests to experience a once in a lifetime outdoor night-time safari. 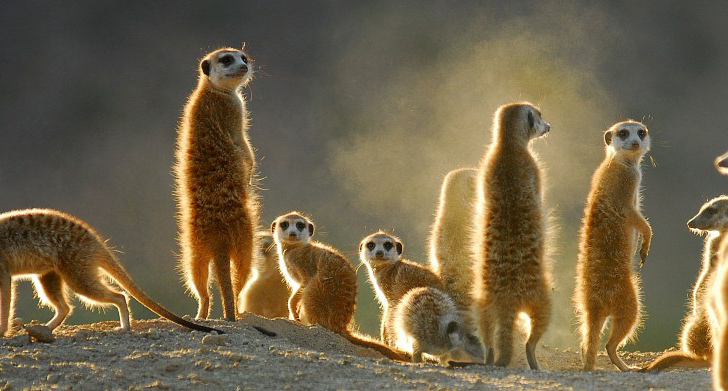 Tswalu Kalahari can be accessed by both road and air. 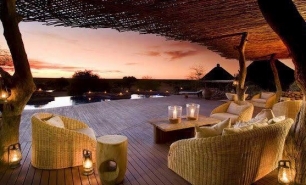 There is an option of a private plane transfer from Johannesburg or Cape Town which is a highlight in itself, providing stunning views from the comfort of a truly luxurious plane. 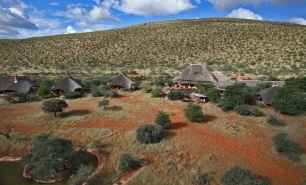 Tswalu Kalahari airstrip can be reached in 1.5 hrs or 2 hrs charter flight from Johannesburg (560km to the south) or Cape Town (850km to the southeast) international airports respectively. 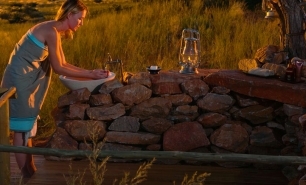 Tswalu is close to the border with Botswana and within driving distance of the Kgalagadi Transfrontier Park.